Thanks to a simultaneous construction output growth in the 19 Euroconstruct countries for the first time since years, 2017 recorded a growth peak of 4.1% (volume). 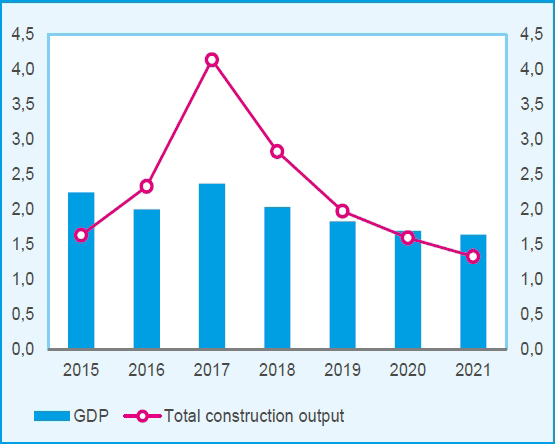 The construction market should keep growing at 2.8% in 2018 and slow down at a yearly average rate of 1.6% (in volume) over the forecast period (2019-2021) supported by smoothing but still positive GDP’s evolution. In the very short term, confidence for households is reaching a peak in 2018 fuelling the new-residential sector. 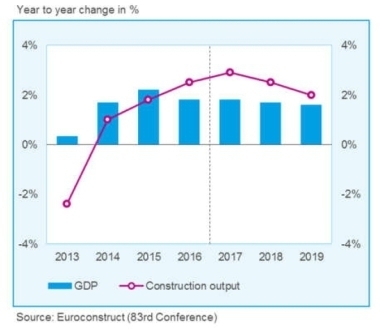 On a more structural point of view, the 2021 construction market volume would stay still 15% behind 2007’s level for the EC 19 countries, but when eliminating the extrema situations in Ireland, Spain and Portugal, the level of output would be recovered for the sum of the other countries. The gap between new building and building renovation markets has recently reduced, especially thanks to the 2017–2018’s new-residential growth. However, building renovation’s growth should take over new activity starting 2019 because of the slowdown of new building output. Collective housing progressively overrides individual dwellings with 58% of collective vs. 42% of individual completions expected in 2021. This should have positive consequences for countries CO2 emissions by the reduction of transport distance (less sprawling), and shorter networks for utilities. 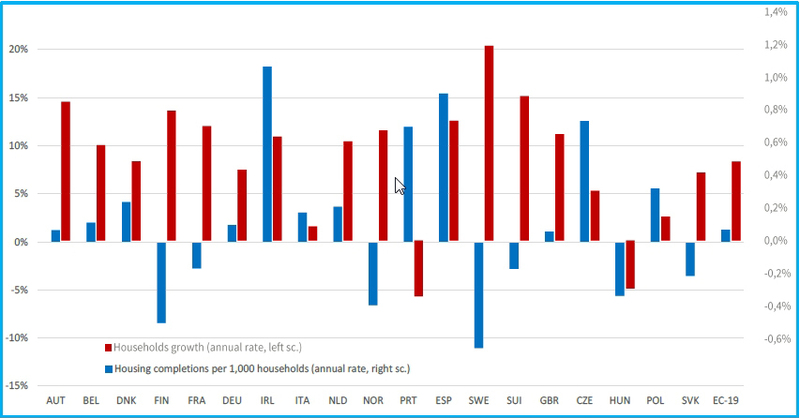 From a structural point of view, the Euroconstruct area’s population should keep growing over the 3 next years but at a slower pace than in the past. 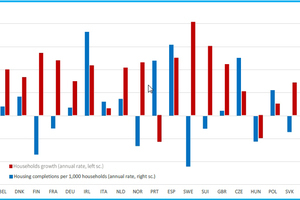 Despite this demography dynamic, one can observe that household’s growth would not necessarily be linked to the housing completions growth, leading to an imbalance between offer and demand in some countries with consequences on prices and poor housing issues. In the short term, offer and policy drivers impact stronger the residential markets. As a whole, non-residential construction output (new and renovation) is growing at a pace of 1.5% per year with 14 growing countries over the 2019-2021 period. But it should be noted that public buildings and offices are reversing the non-residential market in the UK and Germany. This is mainly due to public budget allocation and anticipated effects of the Brexit. An abrupt stop is expected in offices’ sector progression in the UK. 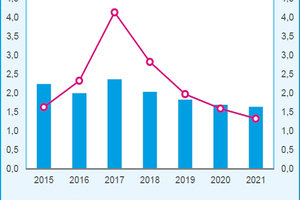 With a phase lag, civil engineering would become the new driving force during the forecast period with annual growth rates between 2.5 and 5% in volume. 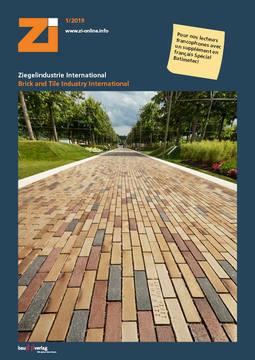 Civil engineering will still benefit from European Commission infrastructure’s plans and from national plans supporting especially roads and railways renovation, and from the global healthy economic situation.